It might seem a good idea to take plenty of vitamin supplements on top of a healthy, balanced diet. But that’s not necessarily the case. In the UK millions of pounds are spent on supplements every year, so how can we make sure we’re spending our money wisely? The best way to get all the vitamins you need is to eat a healthy, balanced diet. If you regularly eat a balanced diet that includes food from all the major groups, you probably won’t need to take vitamin supplements, unless you have a particular health concern. Vitamin supplements are only meant to act as a top-up if you find that it’s difficult to eat a healthy, balanced diet every day. So don’t think eating junk food and fizzy drinks and then swallowing vitamin pills will keep you fit and healthy – it won’t! There are some vitamin supplements that health professionals recommend we invest in. Women who are pregnant, or who are trying to get pregnant, are advised to take 400 micrograms of folic acid each day during the first 12 weeks of pregnancy. This is recommended over and above the 200 micrograms of folic acid that most of us would have in our diet every day from regular food. Most people are able to get all the vitamin D they need from their diet and by getting out in the sunshine now and again. But if you’re pregnant or breastfeeding, taking a vitamin D supplement of 10 micrograms (0.01 mg) each day might be a good idea. Although, as always, do check with your own health professionals before taking any kind of supplementation during pregnancy or breastfeeding. Older people, those of Asian origin and people who rarely get outdoors or who always cover up completely in the sunshine, might also want to consider taking 10 micrograms (0.01 mg) of vitamin D a day. Children need a regular intake of vitamins to help them grow up healthy and strong. But kids can be fussy eaters and it can be tough getting them to eat the healthy diet that would be most beneficial. On top of that, all the running around they do burns up energy – and vitamins – fast. So between the ages of 6 months and 5 years, many children would benefit from supplements of vitamins A, C and D. Keep in mind though, that supplements might be unnecessary if your child enjoys a good appetite and a varied diet. Always ask your GP or health visitor for individual advice. But in any case, the amount of any particular vitamin you need varies, depending on your age, health and lifestyle. Older people, those with specific medical conditions, children, nursing mums or those with particularly restrictive diets, like vegans, might all need different amounts of vitamins – some more and some less. So don’t think that what’s right for someone else, will also be right for you. Taking too much of any particular vitamin is not a good idea, and taking lots of different kinds of vitamins isn’t either. Certain vitamins can interfere with the absorption of others. For example, zinc interferes with how copper and iron are absorbed. So think about whether you have any particular health concerns that could indicate supplementation of a certain vitamin, and then stick to that, don’t start adding too many extra supplements into the mix. 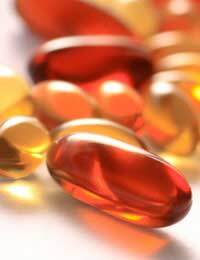 Getting the Most out of Vitamin Supplements. Another potential problem with vitamin supplements is that many people don’t take them correctly. If you’re one of those people, it’s likely that any nutritional value of the pills you’ve paid for is being flushed straight through your body without being absorbed. In other words, you’re wasting your time and money. To make sure you get the full benefit of any vitamin supplements that you’re taking ensure that they are only taken with water that is room temperature. Knocking back your pills with hot or chilled drinks can damage them and make them less effective. Try not to drink any tea or coffee immediately before or after taking your supplements as they interfere with the way your body absorbs nutrients. Also, if the bottle says to take your supplements with food – do so. Likewise, check the bottle to see if you should take your supplements on an empty stomach. While vitamin supplements can be helpful, particularly amongst people who struggle to eat a balanced diet, they’re certainly not an easy option to take the place of a healthy lifestyle. So consider your particular needs before deciding on supplementation, and if you go ahead and start taking the pills, make sure you always read the labels, and take your vitamins properly and safely. Do Animals Need Vitamin Supplements? What Are Fat Soluble Vitamins?